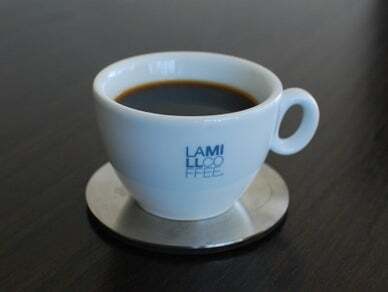 LAMILL is very serious about their coffee - they liken it to fine wine. After all, coffee has notable vintages, is aged, has narrow growing parameters, and most importantly, has the depth and character of a fine wine. Why, just the other day LAMILL chanced upon an impertinent little Guatemalan that teased them with hints of chocolate, licorice, and ripe cherries. They're serious about coffee. @LACoffeeClub Great meeting you guys today! !